The Vancouver Sun’s Video Interview with Freeman Dyson | Watts Up With That? The Vancouver Sun recently published a video interview with “Princeton University’s preeminent” theoretical physicist and mathematician Freeman Dyson, as part of their “Conversation that Matters” series hosted by Stuart McNish. (Correction: Freeman Dyson is a professor emeritus of the Institute for Advanced Study, which is not affiliated with Princeton University. Thanks, Phil.) If you don’t know who Freeman Dyson is, see his condensed biography here and detailed biography here. Freeman Dyson is also skeptical of catastrophic CO2-driven global warming/climate change. This week’s Conversation that Matters features Princeton University’s preeminent physicist Freeman Dyson who says models do a good job of helping us understand climate but they do a very poor job of predicting it. It is an excellent interview. The 20 minutes flew by. Thank you, Stuart McNish and, of course, Freeman Dyson. 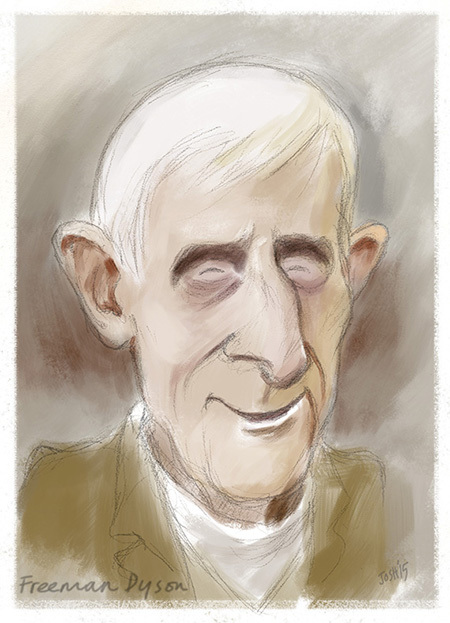 Josh writes: Click the image to take you to wonderful video of Freeman Dyson in conversation with Stuart McNish – it’s twenty minutes of refreshing brilliance. April 6, 2015 in Climate News. Elizabeth May is gonna have a conniption. Before someone along around a says “but he is not a Climate Scientist”, lets keep in mind this man has a far firmer grasp of the basic science that underpins current Climate Science than any person on the planet. Most Climate Scientists would count themselves lucky to even stand in this man’s shadow. A truly brilliant and articulate individual. “I think I’ll go to college and earn a climatology degree,” said no genius ever. My exact thought!. There is panic in the streets of the Left Coast of Canada…screams of HERESY!!! Joe Biden on the other hand, believes that non-president Roosevelt spoke to the US on non-existent televisions after the 1929 stock market crash. 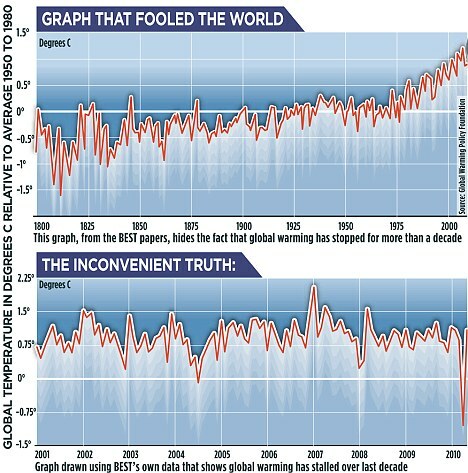 David–but in reality it’s the AGW lemmings who are the real deniers as they deny facts presented with proofs. People like the emperor just wave their hands like ‘tut tut, don’t bother me with trivialities like facts and proofs’. The socialists, Marxists & anarchists were quick to jump on the denier term for a reason–they could claim it as their own and it couldn’t be used against them. They may be ignorant but they aren’t stupid and they’ve been ahead of the propaganda front for far too long. We, the Climate REALISTS need better pr and need to get politicians who agree with our side to speak with people like Professor Dyson, Dr. Bill Gray to name a couple. The mainstream media will try to bury this. Bury it? They won’t even acknowledge it. Not to mention Andrew Weaver … more on CBC news at 11. Whats happening with these Vancouver news sources? The Province printed a commentary by Patrick Moore last week. He basically said that warming stopped 18 odd years ago and the higher CO2 levels are good for the planet. Very encouraging. The SUN chain is the closest we get in Canada to non-left media. That’s what all the leftists despise it and wouldn’t look at it with someone else’s eyes. Au contraire mon ami. The Sun has three Sudokus and excellent crosswords. If I need to raise my blood pressure, I might even read some of the columnists. Sorry commieBob, I forgot that Vancouver’s Sun is different from the rest of Canadian cities. One Saturday edition was editorially controlled by David Suzuki. That was the first time I didn’t read the paper when it was available to me (away on holidays are the other times). Very interesting conversation. After I finally found that actual video, and after I skipped past all the BS!.. Gasp! From The Star no less. In other words, there’s a 60% percent chance EC is wrong. There is hope……but without change. I share his belief that man is basically logical and common sense will prevail. “man is basically logical and common sense will prevail’. Wrong. Just consider the past and today. Pre-science, there was survival value in irrational belief, hence it’s predominance today. Man is basically emotional. Education interrupts these primal emotional reactions by applying logic. Hence the dumbing down of education in order to provide a generation of sheeples that are easily led. Thanks for the links, Andres. April 6, 2015 at 7:37 pm if something is likely to happen 0,40 of all situations and the likelihood that such prediction is true is 0,4 (0,4 = 40 %) how do you end up with 40 % that such a situation will happen? If you look at something which might happen in 40 cases of 100 and the likelihood for that to happen is 40 percentage (40 cases of 100) the complete figure for all cases never ever can be that it’s 60 percentage is the figure for total effect not to be true. Loved the interview- Mr. Dyson is still AMAZING as a nonagenarian! As it seems unlikely to make it into the main stream- thanks for sharing! No I am not. If you look at a circle and mark 40 % of it, And the likelihood that those 40% will come true in itself is 40 % You need to do your math from that not only from the later 40%. Please look up : Huff, How to lie with statistics. You might understand then. But that’s now .4*.4 of it being warmer than normal, not of them being wrong. Freeman Dyson is not “Princeton University’s preeminent” theoretical physicist and mathematician, he is a professor emeritus of the Institute for Advanced Study. The Institute is not affiliated with Princeton University. In 1994 Dyson retired from his professorship at the Institute for Advanced Study at Princeton and was appointed professor emeritus. The IAS is in Princeton, NJ, and has ties to Princeton U, but isn’t a part of Princeton U. It’s an independent think tank. You may be perfectly correct in what you say about Freeman Dyson’s association with Princeton, but over time, you have so completely hidden any tendency you may have for veracity, that your words are immediately suspect. All scientific pronouncements invite and require scrutiny, to be sure, but your words summon extra vigilance. When he’s right he’s right. What is the relationship between the Institute and Princeton University? The Institute is a private, independent academic institution that enjoys close, collaborative ties with Princeton University as well as Rutgers, The State University of New Jersey, and other nearby institutions. In the early 1930s, Princeton University provided office space for the Institute’s first Faculty members while the Institute’s Fuld Hall was being constructed, but there are no formal links between the two institutions. That’s right, David. It’s rumored that Phil is associated with Princeton (some say Cornell.) Whoever he may be, he long ago picked up the pole of the proselytizing propagandist and is now reaping his reward. Ps I’m just some guy… who happens to have a large, accurate and precise BS detector. Phil has set the buzzer buzzing so many times, that when he actually says something right, it pokes the irksome button and merits a response, of sorts. Are his words now worthless because a reporter didn’t give him the right (retired) job title? The Institute is a private, independent academic institution located in Princeton, New Jersey. It was founded in 1930 by philanthropists Louis Bamberger and his sister Caroline Bamberger Fuld, and established through the vision of founding Director Abraham Flexner. Past Faculty have included Albert Einstein, who remained at the Institute until his death in 1955, and distinguished scientists and scholars such as Kurt Gödel, J. Robert Oppenheimer, Erwin Panofsky, Hetty Goldman, Homer A. Thompson, John von Neumann, George Kennan, Hermann Weyl, and Clifford Geertz. This is the place that Princeton U’s preeminent faculty hope to be good enough to get into. Well, some think that IAS is the ultimate enclave, the ivoriest ivory tower, the… doesn’t matter. That linked video says it all; Dyson is direct and forthright and well versed in the subject. Can you imagine a conversation between Dyson and Svalgaard and Svensmark? Of course not, but it’s important to get the facts correct, as pointed out the IAS is an extremely prestigious institute. “Princeton University’s preeminent” mathematician is arguably John Nash, Nobel laureate and Abel prize winner. Don’t be so precious Phil., it was an attack. Had your intent been to, as you stated above, credit him with his proper credentials, you could have done so in your very first comment.Instead you pointed out the error. You were happy to point out what Dyson wasn’t, and completely silent on what he was. Not true David, in my first comment I commented on his affiliation only and I did say that he was Professor emeritus at the IAS, that is not an attack unless you think that the IAS faculty are less prestigious than the PU faculty, which I certainly do not! The mistake was made by the Vancouver Sun and in no way reflects on Dyson. You’re welcome, for obvious reasons the IAS is frequently confused with Princeton University. Of course there are contacts between the two institutions, guest lectures etc., for example, Dyson gave the Keynote address at the University’s Research Seminar a couple of years ago. Well, Phil, Physics is my primary field and both undergrad and grad as well as in a variety of settings throughout my professional life I have noticed that Freeman Dyson was generally considered a preeminent mind. Going back to the generation of Fermi, Bohr and Feynmann you will find Dyson generally considered by his contemporaries to be brilliant. He is often referred to as the smartest person they know. Considering that he like Feynman was just a young man at the time, and that all of these people actually knew Einstein… I think It would be prudent to ignore your attack. I guess an argument could be made for replacing the words “Princeton University’s” with the word “Earth’s”. Is that what you would prefer? What attack? I was commenting on the incorrect affiliation not his abilities, I would prefer replacing the words “Princeton University’s” with “Institute for Advanced Studies” to give them the appropriate credit since he’s been there since 1948 with the exception of a couple of years. Indeed he was a contemporary of Einstein and Gödel while there. He was also a great data adjuster. Don’t be so precious Phil., it was an attack. Had your intent been to, as you stated above, credit him with his proper credentials, you could have done so in your very first comment. Instead you pointed out the error. You were happy to point out what Dyson wasn’t, and completely silent on what he was. You left it to others to point out what his correct credentials are, and how prestigious the real ones actually are. Your belated claim that you were trying to do anything but cast a negative context on the matter is simply disingenuous. Question for Mosher ==> If you mean that Freeman Dyson “was also a great data adjuster” — let’s have some specifics to back up the charge — which for a scientist, is extremely serious. When? Where? What research? Which papers? Based on whose opinion? Or is just a general drive-by slagging? If you mean Dyson was an adjuster, then he would fit right in with the crowd. Might I say, your crowd. Sounds like Princeton’s loss to me. Sure, technically. As if the golf course is the only thing that separates them. Or maybe McCarter theatre, perhaps the jitney. I’m sure none of them see each other professionally or socially. I assume you left the sarc mode off? There is of course lots of interaction (and interchange) of faculty between the two institutions. Guest lectures such as the one I mentioned by Dyson at PU for instance, the dining room at the Institute has a great chef, faculty at the Institute have library privileges at PU, etc. I even attended a seminar at the Institute a few years ago by Hansen, Dyson was there too. rishrac, trust me the faculty dining room at the Institute is excellent! My grad TAs used to like my taking them there for an end of term lunch, they’d take ‘selfies’ by Einstein’s bust. There is a piece published in the CBC about the melting Western glaciers of a study headed by a Garry Clarke of UBC where his models show because of C02 the glaciers will all but be gone by 2100. He got depressed doing this study the poor man. I hope Mr. Tisdale will have some fun with that article. No gloating ( although I do it as well) But currently the west coast is dry. Dry? Last month was 150% above normal rain for March in the Vancouver B.C. region. @ garymount…that was a real Pineapple Express. I watched that tight wv stream on earth.null as it crossed the Pacific on a diagonal course right into Washington St and Vancouver Canada. I expect to see a similar stream strike further south in the next several years. 150% of normal or 150% above normal? It was 150mm instead of 100mm average. When I use Percent, it means per hundred. So 150% = 150 per 100 = 150 / 100 = 1.5 which means 1.5 times the normal/average. Is that clear enough? garymount, where I come from, a doubling of any figure is a 100% increase. So normal is 100%, 100% above normal is double. Do the math. And I wove in a key quote from this excellent Freeman Dyson interview … as a refreshing antidote to Clarke;-) As a bonus, I see that HaroldW has now added his (far more technically inclined) observations via comment on this post of mine! The AAAS President and the Science mag Editors (Dr Marcia McNutt, Dr. Andrew M. Sugden, and Dr. Gerald Fink) there must watch this. After they do they should put their heads down in shame at how they have allowed the grant money chase and the Climate Change gestapo ruin science and corrupt their integrity. It is an excellent video. Yes, you do have to get past the intro. Dyson says he’s optimistic because he grew up in the 1930s. I feel the same, though I’m younger, and recall rather the 1940s and 1950s. Things are so much better for so many people that I find it hard to understand why Western societies are so beset with gloom and doom. Because doom and gloom “requires” a solution, and extra powers to implement that solution. A rosy future of little worry does not. That was an excellent interview. Those who say that this man no longer has his full thoughts only show their lack of discernment in judging others. Thanks Bob for sharing this! McNish should have his mouth washed out with soap for mentioning Al Gore during this interview. Just put the Dyson video interview link to twitter (via tiny URL) on the #climatechange hashtag. That should ruffle a few feathers that need ruffling. The voice of common sense. Lucid and reasonable – so, another target for the ecoloon collective. I wish Dyson had been asked about the dangers of alarmist ‘success’ at Paris later this year. McNish refers to a former BC scientist who thinks non-believers in CGW should be jailed. That sounds like Crazy Dave who now earns his livelihood through his Foundation of Neverending Fear. Contrast Dyson’s clear understanding of the issues with Crazy Dave’s complete ignorance of the most basic elements of global warming as exhibited the Oz Q&A last year. We all slow down when we age but apparently some more so than others. Dave likes to come across as an elder statesman. Even at his age it’s not too late to learn from his elders. What a wonderful person Mr Dyson is, clear, succinct and logical. Absolutely! You can tell this man has thought long and hard about this subject. He has connected the dots. Even the ones that most Climate Scientist don’t even know are there. The Green police have already censured this video – click the link and you get a message from the Vancouver paper saying it is no longer available.! I just watched it again end-to-end. It’s still there. Not to worry. Plus I used my iPhone to record it, both the 2:45 minute lead-in, and the 19:45 minute interview with Dr Dyson. If it does gets taken down (which I doubt, as now the Vancouver Sun journalists credibility would be destroyed), I’ll manage to get it on YouTube somehow and Twitter links to it. I tried a few times. Gone into “Sorry, no longer available” at the time posted. As of 08:30 am CDT I clicked on the link and it took me directly to interview. To get to it I had open it in Flashplayer. That may work you also. I have just watched it. 1) CO2 is a greenhouse gas, that seems to have a much weaker warming effect than the CAGW hypothesis projects. 2) Increased CO2 levels over the past 37 years of his studies have increased global crop yields and forest growth by approximately 20~25%, which has been huge benefit to man and the environment. Any possible negative consequences of increased CO2 levels to date (which currently don’t seem to exist) are more than offset by CO2’s benefits. 3) Solar cycles seem to play a much larger role in climate than the CAGW hypothesis considers. 4) The physics and empirical evidence show Increasing CO2 levels will not likely cause catastrophic consequences. Anyone that believes in CAGW is basing their belief on faith rather than on available empirical evidence and physics. 5) Dr. Dyson does not presume to know, nor will he speculate, the motivations behind those who seem to exhibit an irrational believe in the CAGW hypothesis. 6) Calculating global temp averages is an extremely difficult and ill-defined process. Making raw data adjustments to account for possible temperature variables doesn’t necessarily make them more accurate. 7) Climate model predictions are amazingly accurate for up to a week, but beyond that, they’re worthless at making accurate predictions, because climate is far more complex than the simple climate models used. Dr. Dyson’s observations must make CAGW advocates’ heads explode. If more “scientists” would follow Dr. Dyson’s advice in only making deductions based on available empirical evidence and physics, the CAGW hypothesis would cease to be taken seriously. “If more “scientists” would follow Dr. Dyson’s advice in only making deductions based on available empirical evidence and physics, the CAGW hypothesis would cease to be taken seriously …”. Half right, gathering evidence to form a reasonable inference is induction; deduction is the reverse process applying a general rule, say in physics, to particular cases. Dyson was being very cautious. The empirical evidence absolutely rules out the potential of CAGW events. CO2 has been as much as 12 to more than 20 times higher in the geological* past than at present. We are still here. QED. * What climate science considers “paleoclimate data” generally would not be regarded as “paleo-” in most sciences dealing with the planetary past. Mann’s tree ring “study” for example fell entirely within the historic era. We weren’t here though when CO2 was that high, neither were C4 plants. That was a great interview. I particularly liked his view on Western academics and the reference to the greater common sense of the general public. was it getting too many hits? cant have anyone telling the truth being heard I guess. anyone got any other source for it? Freeman Dyson did not say anything new – just the same climate change contrarian talking points. I could have sworn he said the earth had “greened” by 20% – it would be good to get a reference to the peer-reviewed scientific literature on that one. I think the greening was the only checkable fact – or did I miss any others? 25% after 35 years was his claim. It isn’t a claim, it is a satellite based observation. You might want to work at understanding the discussion. The “contrarian” points are quite as soundly based in physics as IPCC models and far better grounded in empirical support. Then he (or someone else) should have no problems coming up with the citations in the scientific literature describing the evidence. Until then all we have is an “appeal to authority” argument. Oh! You were expecting some great new announcement, like what happens in the wonderful world of consensus consolidation. Never was a field of research so rewarded with a seamless flow of corroboration and confirmation. Every day brings a pile of freshly minted papers proving that it might possibly be worse than we thought, but for all the reasons that we thought it might be less bad than it actually turns out to be. I did not know what to expect, so your statement is a puzzling one. I just watched the interview after receiving a post about it on another blog. harrytwinotter is becoming a parody of the typical closed-minded climate alarmist. Anything and anyone that does not fit his greenie beliefs, or conform to his eco-religion, must be attacked. Video doesn’t seem to want to load, been waiting several minutes. Refreshed the page, still won’t load. Yes, I too found it frustratingly slow to load and only got to hear about 2 minutes at a session…but it’s worth persevering with. Try not refreshing too much…just let it do its thing in its own time! The Sun link is currently working. I am amazed once again that this was moved on so quickly. This posting is probably one of the most potentially influential ant-AGW interviews ever that would actually have an effect of mainstream thought. It is fairly clear that at least some of the PTB want “mainstream thought” to stay in prescribed channels. What a great interview. A nice summary that articulates many of the points I try to make with my ‘AGW’ friends. Also, I saw a story this morning on the dangers of ‘Big Salt’. You can easily subtitute ‘C02’ for ‘salt’ in the paragraph below. Unfortunately it will be a cold day in hell before the WaPo prints anything like the Dyson interview. Dyson eviscerated this journalist and exposed why journalists are so unsuited to discussing the topic at hand. They are more interested in spreading their narrative, based upon the propaganda they hear and credulously believe instead of asking more questions. That is because their education in j-school has been incredibly shallow and reinforcing of their prevailing prejudices. Either download or watch in your browser. The embedded flash player is by-passed. Josh is right. A brilliant twenty minutes. I started it and could not sto0p watching. No doubt some people will say that at age 91 Freeman Dyson is senile. If they do, it should be pointed out that only 3 years ago he co-authored a brilliantly original paper on the mathematical Theory of Games. I wish I was that senile! It is a chilling reminder to me that most of the scientist that do speak out against CAGW are old and in Freeman Dyson’s case, very old. They have very little to lose career- and money-wise. I think there would be many more younger scientist speak out if there were no more serious threats to their livelyhoods. We still have a long way to go to turn this around and I think that the MSM is the key. For the reasons I state above, if MSM is the key, we are all in a lot of trouble. So sad that it seems novel for a scientist to differentiate between observation and conjecture! Great interview but it makes the erosion of science by hack scientists and their MSM enablers that much harder to bear. Is there any possibility of a transcript of the interview? The existence of such would be exceedingly helpful. This great man has great influence. I think the magnitude of world harm being done by climatologists in the service of misanthropist government/NGO totalitarians should make climate change science a top priority for study at the Institute for Advanced Study. If climatologists are “no Einsteins”, then let’s have this singular man made calamity a job to sort out by those who are “Einsteins”. If it’s so important, so critical, it is then too important to be left in the hands of rent seeking opportunists of average intelligence and distopian politicians who love the power and tax revenue and who are paying for this result. Even climatologists should be able to see the logic in this! (That’s a stretch, I guess). Seriously, is there an avenue to request that the Institute for Advanced Study undertake this? If they don’t, it will be clones of the hockey team that will be eventually taking over the Institute – especially if they want to silence Dyson. Certainly Dyson is a brilliant mathematician and theoretical physicist, but how does that qualify him to speak on climate science (and religion, international relations, and other things he speaks on)? If he were so brilliant on all these topics, why don’t we elect him President? Oh wait, I guess you have to be pretty stupid to want to be President. For a lot of people, yesterday was a day off and many may have been logging in to watch. I had trouble getting the video to load yesterday but it started right up this am at http://www.conversationsthatmatter.tv/ And I am on a slow satellite connection so perhaps too many people accessing it yesterday. A good thing. I assume you can back this up with evidence, right? Or is it just a drive by snipe against a man who is not only smarter than you by an enormous margin but also one who questions your work? I suspect I know the answer already. Mosher was part of the BEST team. They have NO business criticizing others for ‘data adjusting‘. Are those who can’t see atmospheric carbon dioxide as a resource the same ones who can’t see older people as a resource? Dyson is a physicist and a mathematician. If global warming / anthropogenic climate change was significantly supported by the physics or the mathematics, Dyson would have to acknowledge that much. Anything that is not supported by the physics or the mathematics is ‘magic’. The stock-in-trade of the magician is making lies believeable. These climate models are excellent tools for understanding climate, but that they are very bad tools for predicting climate. The reason is that they are models that have very few of the factors that may be important, so you can vary one thing at a time ……. to see what happens. But there is a whole lot of things that they leave out. ….. The real world is far more complicated than the models. This quote will go totally over the heads of the climate community. For them climate models are the primary, built on irrefutable basic physics. When the data from the real world differs it is because we have measured it wrong, or there is something else we have not measured yet, or there is a lagged response. The models would be spot-on accurate but for …. reality. Other than that, their output serves their design purpose, which has nothing to do with science. When are you going to provide your detailed biography so that everyone can decide if you are really qualified to discuss climate change without any bias? I think your followers deserve to know what your background really is. Says a man with an obvious bias in his remark. Are you unable to judge for yourself from all of the work he has presented here over the years? All I am asking for is a little transparency from someone that puts himself out into the public forum as a self-proclaimed authoritative figure on the subject. If he can post someone else’s biography when he refers to them a blog posting, why can’t Bob do it for himself? What is he hiding? There’s a Flat Earth do tonight in my town! All are welcome! Food and drink aplenty! Anyone who had even 10% of the awards and honorary degrees of Dyson would be considered to have had a fabulous career. Can anyone really challenge his credentials to comment on climate science. Some of the high profile so-called climate scientists were using teething rings when he was making a real difference in science. Pretty good but he makes two errors/omissions. There is no proof of Man-induced warming. And he fails to mention the impending end of the current interglacial and certain drop in temps of an average of -6C for 100,000 years. In the climate prognostication game, it’s the only certainty. Well, I guess there is a 1 in a million chance the extreme warmists are right and we will get that much warming from CO2 and are spared the next glacial period. I hope this in no way sounds smug, but what really struck me about this interview is that, with the exception of his comments about growing up in the 30s, Mr. Dyson’s responses are basically the same answers I would have given had I been interviewed. I suspect that many here would also have given very similar answers. Did you feel the same way? “… with the exception of his comments about growing up in the 30s, Mr. Dyson’s responses are basically the same answers I would have given had I been interviewed. I suspect that many here would also have given very similar answers. Did you feel the same way?” Yes, struck me the same way and I am by no means even in the same galaxy as his scientific intellect. Correct, Max. Nothing Prof Dyson said conflicts in any way with my world view. But with the name Freeman Dyson saying them, those same words are much more difficult to ignore by folks at science magazines (principally Science and AAAS in the USA). It is easy for their inflated egos to ignore science peons. They will lose serious sleep struggling with their conscience if they watch a man of Dyson science stature take down their belief system. Certainly one of the greatest minds of our time. Being a science fiction reader, my first word association with “Freeman Dyson” is “Dyson Sphere”. I found this story about Dyson online earlier. When Dyson came to Princeton in 1947 he was dying to meet Einstein, so went to Einstein’s secretary, Helen Dukas, to make an appointment. In order to have something relevant to discuss, he got copies of Einsetin’s papers on unified field theory. Reading them that evening, Dyson decided the papers were crap. He couldn’t face the great Einstein and tell him his papers were junk, so he said he cancelled the meeting and spent the next eight years avoiding Einsten . Please don’t repeat unsubstantiated urban legends, as this nonsense is not supported anywhere online. Dyson respected Einstein and it was Einstein who did not communicate with the younger scientists at the institute.